Shaozhen has no intention of staying in his remote Henan village and becoming another poor farmer: he'll finish school, and then, hopefully, work in a factory in one of the major cities, just like his father. But when Shaozhen returns home for the summer holidays, imagining days filled with nothing but playing basketball with his friends, he's in for a shock. The worst drought in over sixty years threatens the crops that the entire village relies on for income. 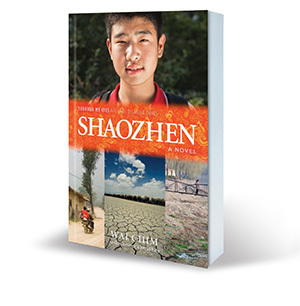 As the water situation becomes dire, Shaozhen realises he must come up with a plan. But will it be enough to save his family and friends and secure the future of his village?